Ellenshaw at Walt Disney Productions, California, doing his first mattes on Pete’s Dragon, Herbie and Star Wars. 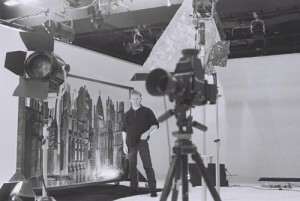 JP has produced major PR / advertising sets for prototype production cars in Detroit, and has received many awards for fine art & design, which include the coveted Lurzer Archiv & CCA awards (1992-93) for television commercials. 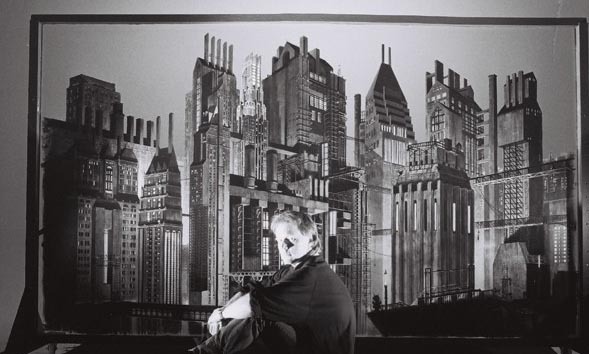 In 1992, he was asked to design ‘master’ scenes of Gotham City for the film BATMAN. 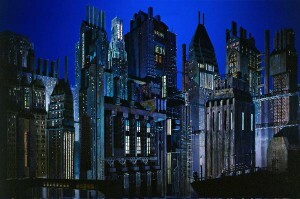 Christies auctioned one of his conceptual oil paintings of Gotham City in 2002. In 1997, he was sent to Bosnia by WARCHILD to design an exhibition for Pavarotti’s £2 million Music Centre in Mostar, which was built to give new hope for the survivors. In 1998, he was flown to Moscow to design a major rock musical for Russia’s leading star, LAIMA VAIKULE. The show, held next to the Kremlin, was dubbed ‘Best Concert Design by a Foreign Designer’ by Russian press. In 2005, JP completed a fifteen by ten foot art-deco oil painting. ‘BERECINGUM – DECCANHAAM’ was commissioned by the local governing body to represent the history of Barking and Dagenham. A digital reproduction was unveiled by the Mayor. It was hailed as a “major triumph’, and is now permanently housed in the Town Hall. JP’s most ambitious work is LEVIATHAN (2005) a thirty foot painting of an unknown city in the future that was completed in one hundred and ten days with no break. It was unveiled in London and received a standing ovation from two hundred people. JP’experience working under Harrison and with Warner Brothers on BATMAN 1 matttes, made it technically possible to create LEVIATHAN (valued by Eyestorm / Britart at £1M) by hand. Harrison saw the work and said “Very, very impressive.” He was pleased with his student. 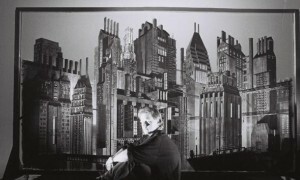 On the BATMAN set they built scale model buildings to match my design and put them in front of the painting, added smoke and shot it. 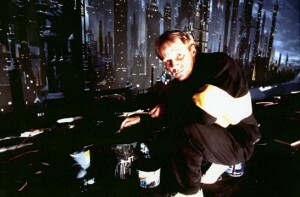 JP Trevor working on his one hundred foot canvas painting of GOTHAM CITY at Pinewood. 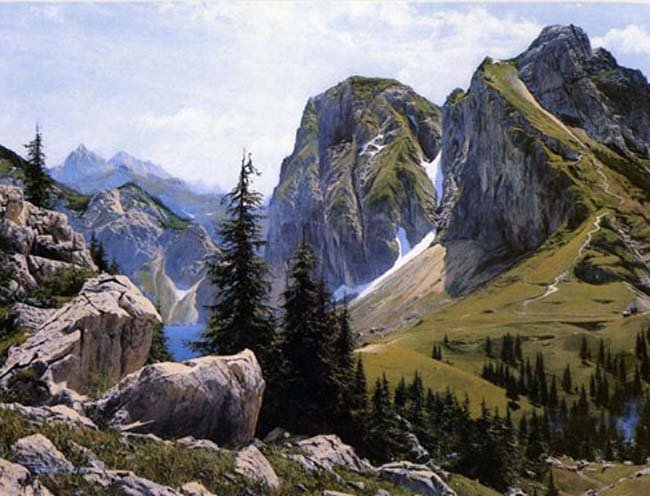 A sample of Trevor´s landscape painting. Posted on 3 February, 2014 by Domingo Lizcano. Permanent link.